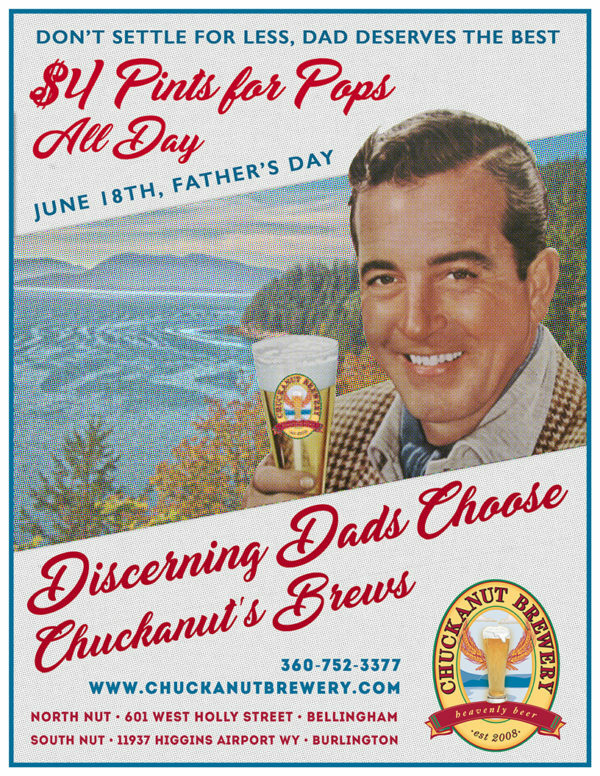 Discerning Dads choose Chuckanut Brews of course! 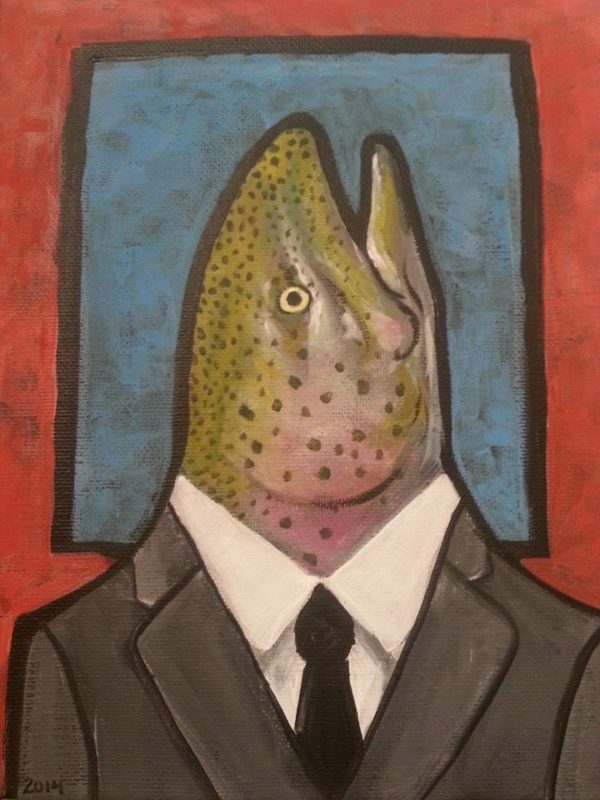 And we're celebrating dads day with $4 pints. So make sure to stop in at either North Nut in Bellingham and/or South Nut in Burlington to show your dad how much you love him by buying your pop a Chuckanut Beer. At North Nut the Kitchen is dishing up some great new June food specials and the ever popular seafood specials (try the Oyster Po Boy). At South Nut we've got Giant Janga ready to go outside and Corn Hole in the Beer Garden.Make it a special dad for your pop, bring him to Chuckanut! 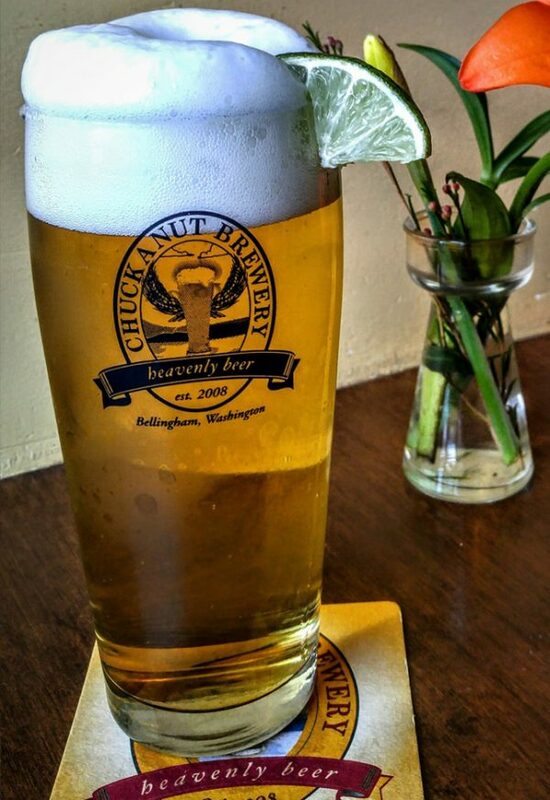 Wow, summer has finally made it to the NW and with it the Chuckanut Mexican Style Lager. Back by popular demand this light lager is a very easy drinking pale blonde sessionable lager beer. Made with our neighbors' Skagit Valley malts we wanted a beer that was similar to the popular hot weather beers south of the border. Originally we brewed this popular lager for the Tom Douglas restaurants in Seattle but the demand was so great we decided to bring it back as our seasonal lager for June, July and August.Find it around Puget Sound all summer long. June has arrived and we're hoping it will be as beautiful as it was last summer with lots of sunshine. You'll enjoy Mushroom Barley Soup made with local Cascadia mushrooms, porcini ginger broth, lemon, veggies, pearl barley and herbs. And for those that like spicy try the Portuguese Sausage Pizza made with local Jack Mountain Meats smoked linquinca sausage and piri piri sauce topped with feta crumbles. Last year we took off sending our beers to the North American Beer Awards in Idaho but this year we entered and we were richly awarded for our well known European Style beers. We won gold medals for Dunkel Lager, Pilsner Lager, and Kolsch. The Vienna Lager and Helles Lager both won silver medals and our new Doppelbock won Bronze. Most of these beers are on tap at both North and South and accounts around Puget Sound so you will have lots of opportunities to try them all out for yourself! 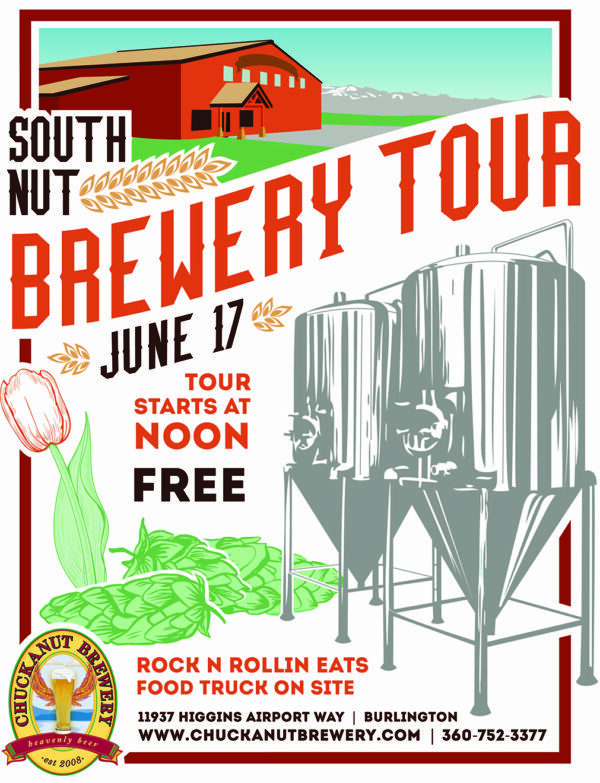 There will be another chance to check out our South Nut brewery on June 17, Saturday at noon. Visit with the brewers inside our new larger facility and ask the questions you've been curious about. And if you're hungry Rock n Rollin Eats food truck will be there serving some of their delicious food items. Also don't forget Mondays we have Sushi by Chin, Thursdays Valley Hand Pies and every 2nd & 4th Fridays Knock Out Bakery on site for food at South Nut in Skagit Valley. If you like boating you won't want to miss two different cruises happening with Chuckanut beer. June 7 we have the Brews Cruise with San Juan Cruises and June 29 we'll have our annual Chuckanut Beer Dinner & Cruise aboard the Schooner Zodiac. Contact the two different boat groups for reservations. And for festivals make sure to get to the WA Brewers Festival on Father's Day Weekend at Marymoore Park and Sierra Nevada Beer Camp June 30. Classical on Tap returns the last Wednesday of every month (June 28) at 7pm in our back patio if you'd like to hear and learn about Classical Music while your at Chuckanut in Bellingham.